Liz (and her sister Emily) are two of our closest friends. We spend at least one day a week hanging out and we've become so close in the time that I moved to Portland. Liz is a fashion blogger, as well as being a super talented stylist and we went exploring around the cute streets of Portland a couple weeks back and snapped some photos. 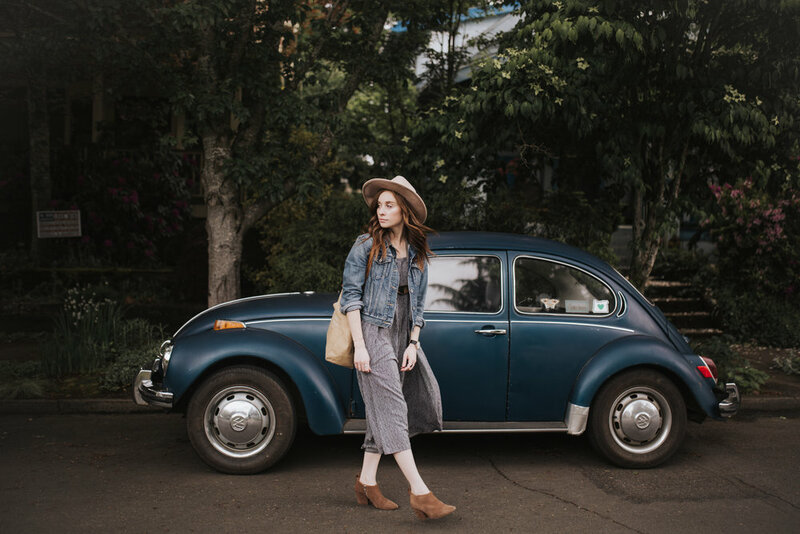 Portland has THE cutest little side streets and the neighbourhoods are a dream, we've also noticed that there are so many adorable vintage cars and awesome campers packed throughout the neighbourhood, so we made it a theme. Here are some of my favourites.